Living wills, also called advance health care directives, are utilized in place of the informed consent process when the patient lacks the mental capacity to make decisions regarding health care treatment. In general, living wills can identify a substitute make, mandate the provision of specific treatments or the refusal of specific treatments in certain circumstances, or give general guidance regarding treatment decisions to the substitute decision maker. Pennsylvania’s Advance Directive for Healthcare Act was signed into law on April 16, 1992, making Pennsylvania one of the last states in the country to approve, by legislation, living wills. The Act allows for a competent adult to make decisions regarding their medical care in the event they become incompetent. However, the Act only comes into play for an incompetent patient who is “permanently unconscious” or in a terminal condition. These are defined terms under the Act and essentially the patient must be in the process of dying or have a total and irreversible loss of consciousness and capacity to interact with their environment for a living will to be enforceable. There is a form that is included in the Act that allows for the refusal of all types of life-sustaining treatment, including the refusal of nutrition and hydration. However, the refusal of nutrition and hydration must be specifically mentioned in the living will. The statutory form is not mandatory and other forms can be used in Pennsylvania and can be held to be enforceable. The statutory form is fairly easy to read and tracks the language of the statute. However, it does not really address a wide range of treatment possibilities. The statute itself is very narrow in that it is limited to terminal conditions or permanent unconsciousness, plus the powers of the surrogate are not really outlined. For instance, if a patient has advanced Alzheimer’s disease, it more than likely would not qualify as a terminal condition. If a patient feels strongly that they would not like aggressive medical treatment if they are in the advanced stages of Alzheimer’s a form other than the statutory form needs to be fashioned with the hope that the treating physicians or hospital will use the form in making treatment decisions. There are many situations that occur every day in hospitals that are not covered by the living will legislation and the statutory form that patients wish to control, if possible, while they are mentally competent. 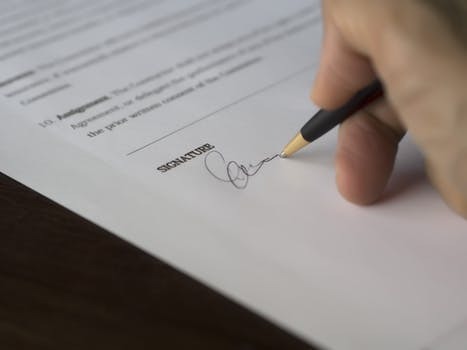 Therefore, a combination of a health care Power of Attorney, coupled with an individually drafted living will containing a more detailed expression of the client’s wishes, plus specific directions regarding the powers of the surrogate, is the best approach. The powers that go beyond the statute might not be enforceable but in most cases physicians, hospitals and families are trying to carry out the patient’s wishes. The more information the patient provided, in writing and in compliance with the requirements of the Act, while they were competent, the better the chance that their wishes will be followed if they become mentally disabled.